There is a sweet and undeniable unity that flourishes from evolving together—almost like two sapling trees that have become intertwined throughout the years, supporting each other and helping the other grow with their combined strength and devotion. 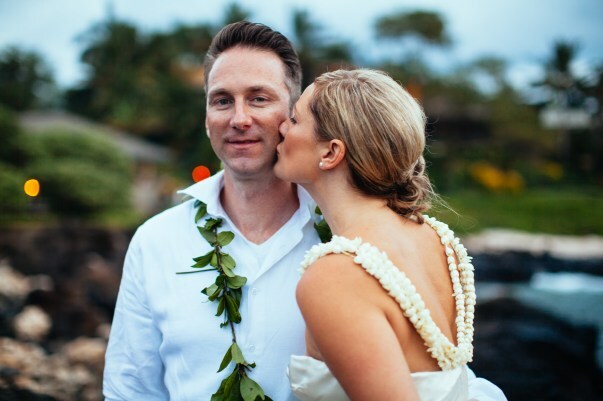 Bliss couple Holly and Zeb found each other in high school, and have been cultivating their friendship and love ever since. 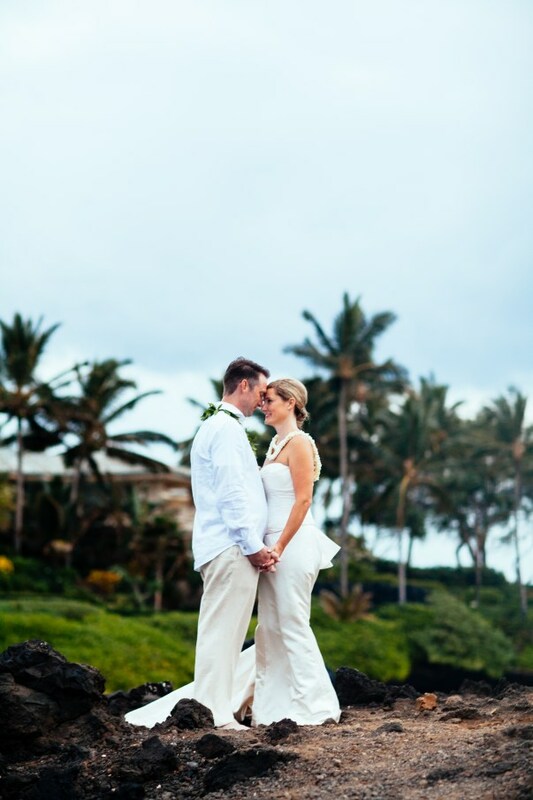 After two children and two decades of adventures, Holly decided to surprise Zeb for his 40th birthday with yet another adventure—a trip to Maui, Hawaii and a chance to say, “I do” on the lush green shores of our Kukahiko Estate. Their intimate wedding was a perfect testament to the incredible life these two have created together. It was an event full of the type of light laughter and tender love that only family members who have truly become best friends could inspire and share. After the ceremony, family celebrated with the newlyweds around a wooden farm table accented with bright teal and adorned with organic centerpieces of white and sky-blue hydrangeas, soft succulents, ivory roses, and golden-yellow ranunculus. As the sun disappeared, the votive candles dripping from the nearby trees, scattered candles across the lawn, and jeweled floating chandeliers became the main source of illumination for the evening. Although their friends could not make the trip from Sacramento, California, they did not let the distance keep them from celebrating! 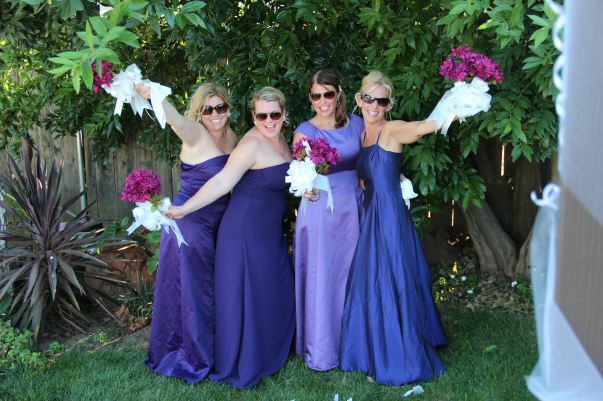 Throughout the entire wedding on Maui, Holly's "non-bridesmaids" partied back home, decked out in purple bridesmaids dresses they found searching the city's thrift stores. These outrageously awesome ladies sent Holly photos of their faux wedding the whole time and acted out some hysterical wedding moments like diving for the bouquet during a staged "bouquet toss". They even had a homemade cake, the top of which they snuck into Holly and Zeb's freezer, which they plan on enjoying on their anniversary. "I can't even begin to describe the true friendship that these girls have given to me," Holly recalls. "After all of this time, I still can't wrap my mind around these babes and what they did to make my destination wedding day unique and special." Honestly, we are pretty amazed ourselves! Best non-bridesmaids of all time. Congratulations, again, Holly and Zeb. You have created such a beautiful and fun life together full of immeasurable love and joy. 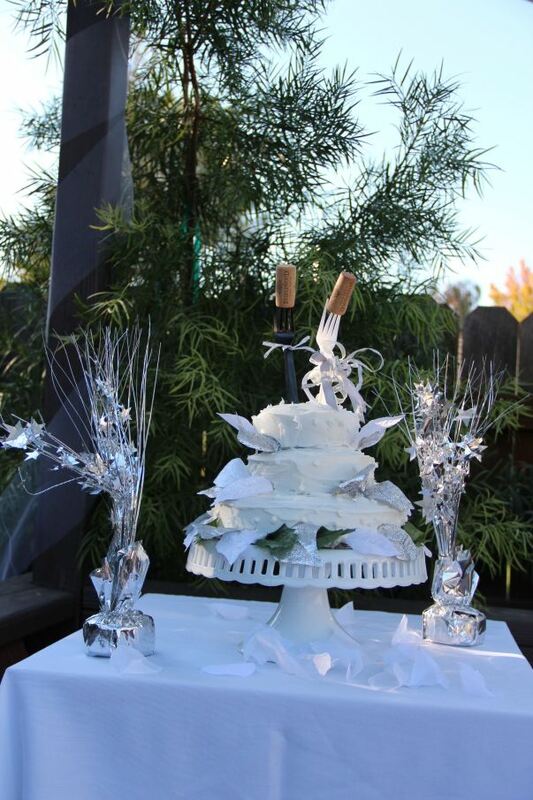 We are so blessed to have been a part of your special day and to continuously be a part of your lives!